I posted something on this blog a few days ago. That's become an exceedingly rare event. This blog has been largely dormant for a very long time. And with good reason. First and most importantly, the issues I used to write about here have become less important. I started this blog way back in 2004 as a way to share my thoughts on what seemed to be the start of a revolution in B2B media. But that revolution is now long over. What seemed bold and controversial back then (use links! publish your stories online first! open a social-media account!) is routine and accepted today. Second, my career has changed dramatically. When I launched this blog I was a fulltime working journalist. But within months I wound up launching a consulting business aimed at B2B publishers. A few years after that, the content-marketing craze took hold and my consulting business morphed into one aimed largely at B2B companies interested in becoming publishers. That shift led to my taking on a fulltime role with a global research firm -- launching and running that company's content-marketing department. I kept my consulting business running, but on a part-time basis. Then, a few months ago, I left my fulltime gig and returned my focus to consulting. After I published that little post a few days ago, a few of the folks who used to read this blog back in the day reached out via email and social media. They said kind and flattering things. And they asked about my plans for 2018. So I began writing replies. But here's the thing: I've been a professional communicator for so long that the act of writing has become entwined with the act of thinking. My internal dialog is well beyond what the Buddhists call monkey mind. The natural state of my brain seems to be a strange amalgam of static, word association and bad poetry. Thus, if I want to know what I'm thinking, I have to share what I'm thinking. When I write, my thoughts become clear to me. Just as when I speak aloud to another person, the gibberish in my head is made coherent. So as I began writing those replies, I realized that what had been a few random ideas about 2018 had become a plan for 2018. -- increase my focus on crisis communications for nonprofits. I've been lucky enough over the years to work with a number of nonprofits on a wide variety of public relations and marketing efforts. But the part of my consulting business that has grown the fastest, and where I see the greatest need, is in crisis communications. My sense is that nonprofits are particularly vulnerable to the new forms of social-media-driven crises that we've seen in the B2C world. More importantly, something fundamental is changing in how a crisis plays out in the media. And many of the crisis communicators I've met seem unprepared for a world of "fake news," trolls who have morphed into influencers, and memetic warfare. -- continue to find ways to combine my interests in communications and psychology. 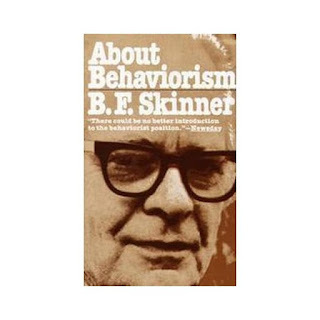 Longtime readers of this blog know that my first degree was in psychology, that my first career was in counseling the developmentally disabled, and that I'm equally enamored of both Jungian analysis and Skinner's behaviorism. I'm always looking for ways to connect my psychology background with my content consulting. Last year I a) helped a B2B company rebrand through Jungian archetypes, and b) revamped the content offering of an applied behavior analysis (ABA) provider. -- expand my B2B consulting business by adding clients who are willing to consider new approaches to content and new methods of building revenue. The content revolution may be over. But I'm convinced there are still some revolutionary breakthroughs available for companies bold enough to try. So now that it's in writing, my plans are clear. At least to me. And it's time to work. For an earlier look at my think-by-writing process, you may want to read this post from late 2006: Blogito, ergo sum.